Lucas Arruda’s born in 1983 near Rio de Janeiro. After studying electric guitar, his passion quickly turned into Rhodes and keyboards, expanding his musical range of skills. 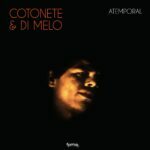 At the same time he started his own home-studio and a real musical career in Brazil, gaining great local support from people like Ed Motta, William Magalhães (Banda Black Rio), Robert Lamm (Chicago) or Hyldon. In 2012, Fabricio Di Monaco (from Modo Solar) introduced Lucas’ music to Favorite Recordings’ head honcho, Pascal Rioux, and one year after, Lucas Arruda presented his first solo album titled Sambadi, receiving great supports from many international DJs and media, who all acclaimed his natural skills for composition and arrangement. 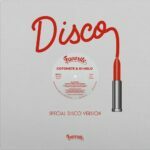 On “Melt the Night” for example, Lucas asked legendary producer Leon Ware for his help, reminding his collaborations in the 80s with Marcos Valle, when they perfectly merged together the sophisticated Boogie and AOR touch from California, with the blazing sense of rhythm from Brazil. For the occasion, they also recorded a blowing version of Marvin & Diana’s classic ballad “Stop! Look, Listen (To Your Heart)“ with the help of Guida de Palma’s (Jazzinho) beautiful voice. For “Uma Onda”, he invites Alex Malheiros, bassist of the famous Jazz band Azymuth, for a splendid tribute to their specific fusion sound and influence on the Brazilian music scene. 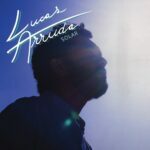 Finally the song “Agua”, co-written with his longtime friend Fabricio Di Monaco, is a beautiful ballad which illustrates perfectly Lucas’ passion for Soul music stars such as Stevie Wonder or Curtis Mayfield. On top of these great collaborations and a few more surprises, SOLAR also differs from its predecessor by a lot more elaborated production process, offering an authentic and warm sound. Mostly recorded at Sala A Studio in Brazil, many drums parts were also taken at the fully analog Ambience Studios in Finland. The mix was also done in Finland on a Neve 8108 console from 1978, using only analogic technology and a Studer master tape to record the final pre-master. 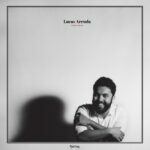 The result is a timeless album, which should definitely established Lucas Arruda as one of the finest and most talented Brazilian musicians these days.